Ask any of my fellow Whovians and they will tell you "The Doctor" is a Time Lord from the Planet Gallifrey and travels through time with his companions in the "TARDIS". I started with Patrick Troughton the "Second Doctor" and my first adventure was "The War Games". Which is an interesting starting point when one thinks I was in the United States Navy, it was during the Vietnam War and I was visiting on board a British destroyer in the Bay of Naples. After a fine meal my British hosts put the "tele" on and I first met the Doctor. As we all learned that he was a "Time Lord". "The War Games" is the adventure that revealed the Time Lord civilization. It would take until the "Fourth Doctor" played by Tom Baker to learn he came from a planet called "Gallifrey". Above Patrick Troughton in "The Tomb of the Cybermen". Above Tom Baker in "The Talons of Weng-Chiang". For those few still unfamiliar with "Dr. Who" and are asking themselves what is a "TARDIS"? Depending on when you started watching the BBC Series the name meant either "Time And Relative Dimension in Space", or "Time and Relative Dimensions In Space". Our Doctor prefers the obsolete Type 40, Mark 1. However, it has a broken "Chameleon Circuit" and instead of changing it's appearances to be unnoticeable in any environment the Doctor lands in. It is stuck as an old style Blue British Police Box. Although any Whovian will also tell you the circuit was fixed once, sort of, by the "Sixth Doctor" and could be again, but then the Doctor now in his 11th or is that his 12th Regeneration has a fondness for the old girl. Now that you have a background to build from the adventure I am first interested in premiered on September 30, 1967. When the "Second Doctor" and his companions Jamie and Victoria materialized on a hilly mountainside in Tibet near the Detsen Monastery and the Doctor told the two to wait within the "TARDIS". Unfortunately you will not be able to find this six part adventure anymore except in book form. For some unknown reason somebody at the BBC decided to clean shop and as a result, before it was discovered what he, or she were doing. Several episodes of the First Doctor Willaim Hartnell and the Second Patrick Troughton were completely destroyed. Of the six for "The Abominable Snowman" which we are concerned with only Number Two remains. The story takes place in 1935. The two companions will discover a fact the Doctor knew. That the Yeti, the Abominable Snowman of the Himalayas, is real, but in this case there are also robotic versions being used to replace the real creatures for some evil purpose yet to be discovered. The Doctor finds the normally peaceful monks of Detsen Monastery very defensive toward strangers and he is placed in a cell. Victoria and Jamie being bored with staying in the TARDIS leave to investigate the area around the monastery. Meanwhile a Professor Travers visits the Doctor in his cell. He believes the Doctor killed his partner and friend, because when he arrived at the Monastery. The Second Doctor had in his possession the dead man's rucksack. As they investigate Jamie and Victoria discover a cave with some Silver Spheres. A Yeti attacks, but the two escape with one of the spheres. Unknown to the two the spheres control the robotic Yeti's. The two then meet up with Travers convincing him that the Doctor is no treat and to help. The Doctor is placed on trial by the monks, because they believe he control's the Yeti's. The other Three arrive to see the Doctor released by the Abbot as the robotic Yeti's once more attack. Everything comes to a head when the Doctor discovers the 300 Hundred Year old Monk and Master of the Monastery Padmasanbhava. The problem here is that he knew the Master Monk and witnessed his death. I am not going to explain the story further as we have reached the one point that is of importance to this article. When Padmasanbhava is questioned by the Doctor about how he can be alive. The answer is that while on an Astral Plane as he was originally dying. The Monk encountered a formless entity that spoke to him about an experiment it needed to conduct and wanted to use Padmasanbhava body as his vehicle to make it happen and the Master Monk agreed. The importance of mentioning the Six Part "The Abominable Snowman" is the name Padmasanbhava informs the Doctor the entity is known by. The entity calls itself "THE GREAT INTELLIGENCE". Here then is the first meeting of the Doctor with this opponent which will also battle the 11th Doctor, or is he really the 12th because of the 8th Doctor becoming "The Warrior Doctor". However, that is a a question not appropriate to this article. 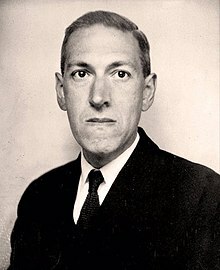 Born August 20, 1890 in Providence, Rhode Island, Howard Philips Lovecraft would be known to those who love Horror fiction by his initials as H.P, Lovecraft. 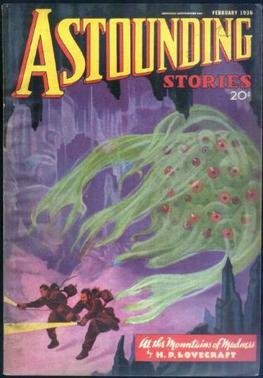 Written between February 24 and March 22, 1931 and published as a novella from February to April 1936 in "Astounding Stories" was "At the Mountains of Madness". The work tells the reader of the report from Geologist William Dyer, Professor of Geology at Miskatonic University. Who is one of only two survivors of the"Lake Expedition" to Antarctica. The only deference between Dyer and the other survivor a graduate student named Dansforth is Dyer is still sane. Any person familiar with Lovecraft's "Cthulhu Mythos" knows that the fictional University is located in the fictional community of Arkham, located in Essex County Massachusetts. Also located in the town created by Lovecraft is Arkham Sanitarium that along with the community made its way into Bob Kane's "Batman", but we are not concerned with the Sanitarium were Dansforth now resides, but the University's expedition to the "Mountains of Madness" as Dyer would call them . Professor Dyer mentions that he previously had led an expedition to Antarctica and discovered mountains higher than the Himalayas and ruins of fantastic shape and size.The new expedition splits into two and the leader Professor Lake is in charge of the advanced group while Dyer the base camp. Lake reports finding the remains of 14 unknown ancient life forms. After several days all contact with Lake's party is lost. Dyer and the others head for his last position and when they arrive at Lake's camp. They find everyone slaughtered and six star shaped mounds containing the remains of some form of unknown life under each. The following morning the mounds are empty and during the night a sound was heard. While one of the group and a sled dog are found dissected by an unseen person as if to investigate what they are bad of and why they are different. Dansforth has started talking about a story by Edgar Allan Poe he believes is related to these events. He also mentions Arthur Gordon Pym whom that tale is about. It is thought that the answer to what is happening may lay in the mountains Dyer spoke of and dominate the landscape. Dansforth joins him and the two fly to investigate the ruins Dyer also has mentioned. It is there that hieroglyphic murals tell of the "Old Ones" of the "Cthulhu Mythos". Who came to earth when the Moon was created and lived on land and in the sea. It was "The Old Ones" who built this fantastic ruined city that has proportions seemingly gigantic in size to any human structure and was used prior to the start of mankind's evolutionary cycle and have crossed over to another dimension. Dyer and Dansforth decide that the bodies in the mounds were of slaves that the "Old One's" called "Shoggoths". Once more they hear the sound from the previous night and it is becoming louder and moving nearer and nearer. Dansforth continues to speak of the Poe story. In a cave like tunnel as the sound seems almost upon them and their fears rise. The two men decide to flee the city. As they take off in Dyer's plane Dansforth looks back and at this point looses his mind from what he has seen. Believed to be the Guardian of the Gate to the "Old Ones" "Yog-Sothoth"..
Edgar Allan Poe was born on January 19, 1809 in Boston, Massachusetts. The writer who would create the Detective Story, but be remembered more for his stories and poems of horror. H.P. Lovecraft's character Dansforth was referring to the only complete novel published in July of 1838 Poe ever wrote: "The Narrative of Arthur Gordon Pym of Nantucket"
What makes this "novel" interesting is that Poe and the original publisher claim this was a true story and that someone related it to him. The story tells of a stowaway, Pym, known to Augustus Barbard his friend and son of the Captain of the Whaler "The Grampus". Pym is in hiding until the proper moment for Augustus to reveal him to his father. However, a mutiny breaks out and Augustus and Pym join forces with a sailor named Dirk Peters to attempt to stop it. This occurs during a major storm, but things go wrong and the three escape the whaler in a dingy. At sea Augustus dies before the remaining two are picked up by the Whaler "Jane Guy". The "Jane Guy" heads for the unexplored reasons of Antarctica in search of seal calves for fur. Pushing through the thick ice flows the ship's crew is surprised to find warm water and a somewhat tropical island. The island called Tsalal is inhabited by a seemingly friendly tribe of natives. All the friendliness by the natives is a ruse and on the eve of their departure the natives attack and kill all hands, but Pym and Peters who barely escape by hiding out. The ship is burned and there is no apparent way out for the two men. It is at this point that Lovecraft and Poe come together. The two men head toward the strange hills of the island and find a passage in a cave, but as they walk further inward strange mural markings appear on the walls. The two debate the source of them and after coming out of a labyrinth they are able to steal a small boat from the unsuspecting natives and take one of them as hostage. The narrative as written by Edgar Allan Poe ends at this point, but the "Editors" of the manuscript compare the markings observed by Pym and Peters to Egyptian and possibly Arabic letters. Along with hieroglyphs with meanings of "Shaded", "White" and "Region to the South". Jules Gabriel Verne was born on February 8, 1928 and in 1897 published his work "Le Sphinx des glaces (The Sphinx of the Ice Fields) aka: "An Antarctic Mystery". Verne answers the question what happened to Arthur Gordon Pym and Dirk Peters. His story is set 11 years after Poe's. It is now 1839. The narrator of the tale is a wealthy American named Jeoring who becomes a passenger on the "Halbrane" under the command of Captain Len Guy. The two discuss at times the story of Arthur Gordon Pym. The ship puts in at the Falkland islands and takes on board a mysterious sailor who calls himself Hunt. The "Halbrane" encounters the dead body of a sailor from the "Jane Guy" frozen on an iceberg. On the sailor is a note that indicates that his Captain William Guy and some of the crew did not die as Poe stated and are alive on the oriignal island. Captain Len Guy reveals himself to be William's brother and with the agreement of all on board now heads for the Antarctic.They find the island described by Pym, but it has been destroyed by a massive Earthquake and no trace of the survivors from the "Jane Guy" can be located. They also find the bodies of the natives who apparently died prior to that Earthquake by means unknown. 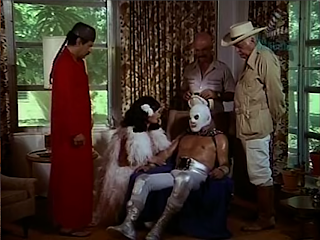 Hunt reveals himself to be Dirk Peters and explains that he became separated from Pym prior to the incident with the "White Figure" described by Poe. He also has in his possession Pym's diary which he had shown to Poe and Poe had published with some embellishments.Peters is the source Poe and his publisher had referred too. As the "Halbrane" goes further south in search of the Captain's brother and the other survivors a freak storm comes up. The ship is pushed against an iceberg and starts to sink as the men flee onto the berg in a small boat. As the berg drifts southward it encounters an unknown land mass and the crew is able to go onto it, but some mutineers steal the boat and leave the other stranded to die. The crew of the Halbrane then see a native boat ghostly floating near the land mass and Peters dives into the water after it. Prior to bringing it ashore he discovers within it the barely alive Captain William Guy and three seamen. As the combined crews start North in the native craft. A strong magnetic field is encountered, but because they're in a native boat containing no metal parts to be attracted by the magnetism. It has no effect on them. However, they soon discover that the magnetic field is being generated by a giant Sphinx. At the foot of the Sphinx are the dead bodies of the mutineers whose boat contained metal spars. Also at the foot of the Sphinx are the remains of Arthur Gordon Pym. Dirk Peters filled with grief suddenly dies from the shock while the others are able to be rescued some time later by another Whaler. I felt it important to give my reader the complete story as started by H.P. Lovecraft, or was that Edgar Allan Poe and finished by Jules Verne. All three stories read in the order I have described make one great read. Now I will return to the Second Doctor and explain how all of this ties in. 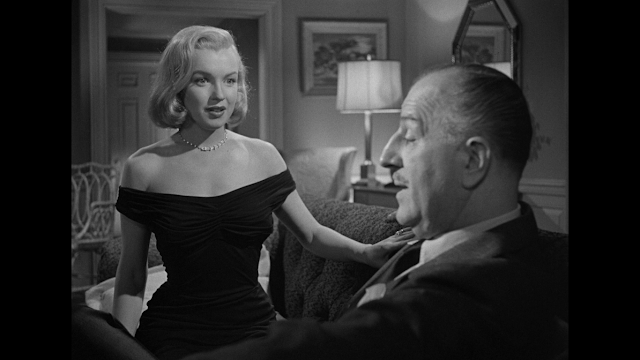 The adventure was entitled "The Web of Fear" and like "The Abominable Snowman" most of the episodes were thought lost. The BBC only had Episode One out of the Six. 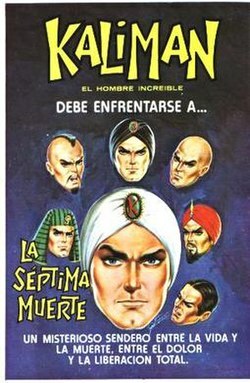 However, Episodes Two, Four, Five and Six were located in Nigeria. Now only Episode Three remains missing. "The Web of Fear" is the sequel to "The Abominable Snowman" and features the return of the Yeti in London. It premiered on the BBC February 3, 1968. There is confusion as to when this adventure takes place. Some articles say 30 years and others 40 years after "The Abominable Snowman", if its the first then we are in 1965 and if the second 1975. I think it was probably the actual year it came out 1968, but then my date is just a guess. Also this adventure has the added confusion of starting out tied to the ending of "The Enemy of the World" which takes place in 2018. An elderly Professor Travers is seen activating one of the spheres from the previous adventure in his home. At the moment of activation a Yeti appears and escapes. During the following days London is engulfed in a thick fog and a web-like fungus starts to spread throughout the London Underground. Enter Colonel Lethbridge-Stewart and Private Evans the sole survivors of a Yeti attack at Holborn tube station. Lethbidge-Stewart assumes command of the Head Quarters from Captain Knight as the web expands. The fungus web now spreads through the entire "Circle Line". The Doctor discovers an attracting beacon for the Yetl's., There can be only one explanation somebody at HQ is in league with "The Great Intelligence". Through Professor Travers "The Great Intelligence" explains to the Doctor that this whole Yeti invasion was a means of getting him there. So that he can drain the Doctor's mind of all knowledge of time and space. SO WHO, OR WHAT IS "THE GREAT INTELLIGENCE"? I don't know which of the writers Meryvn Haisman or Henry Lincoln for "The Web of Fear" gave Colonel Lethbridge-Stewart the line where a proper name is given, the only time to my knowledge in the entire Dr. Who Universe, for "The Great Intelligence", but he is called "Yog-Sothoth". The Great Intelligence, which usually referred to itself simply as the Intelligence and was originally known as Yog-Sothoth, was a disembodied sentience who attempted to find a body and physical existence. He is first mentioned in H.P. Lovecraft's "The Case of Charles Dexter Ward" first published in 1941, but written in 1927 14 years earlier. Of interest to my reader is he is suppose to take the form of a conglomeration of glowing spheres. Spheres being critical in both Dr. Who stories concerning the Yeti's. This description of "Yog-Sothoth" might explain what is considered the final battle with "The Great Intelligence". When the Eleventh Doctor and Clara Oswin Oswald fight it by sending her into the Doctor's time stream at "Trenzalore".to repair his timeline and the damage "Yog-Sothoth" had done to it. One might hazard the thought that "The Great Intelligence" is in its own way a competing"Time Lord". In fact what is the difference between the "Old One's" and the "Time Lords" except perhaps in appearance? When one thinks of "Omega" and "Rassilon" and the goals of the "Time Lord Council"?